The decision to dismiss extortion charges against two Boston mayoral aides has been vacated in federal appeals court. 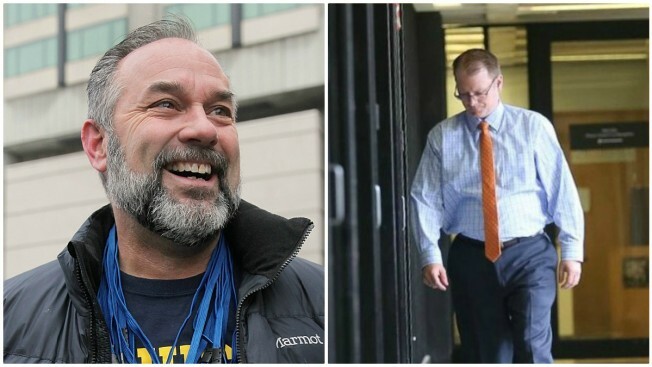 The office of U.S. Attorney Andrew Lelling announced Thursday evening that the dismissal of charges against Kenneth Brissette and Timothy Sullivan had been vacated. According to the Boston Globe, the First Circuit Court of Appeals found that U.S. District Judge Leo Sorokin's 2018 ruling misinterpreted the law. Brissette and Sullivan were due to go to trial last year on extortion charges after allegedly bullying organizers of the 2014 Boston Calling music festival into hiring union workers by withholding permits. Sorokin decided in March of 2018 that prosecutors would not be able to convict the aides without proving they personally benefited from the union workers being hired, according to the Globe. Brissette and Sullivan subsequently returned to work at City Hall. Boston Mayor Marty Walsh applauded the decision at the time. "I appreciate this being brought to resolution," the mayor said in a statement. "We made significant progress over the last four years addressing the housing crisis, creating jobs, building safer neighborhoods and improving Boston's schools. I look forward to continuing our focus on moving the city forward and working to expand opportunities for Boston residents, every day." The First Circuit Court of Appeals ruled Thursday that prosecutors would not need to prove that the workers' hiring benefitted Brissette and Sullivan, according to the Globe. The newspaper added that the dismissal being vacated paves the way for a possible trial.